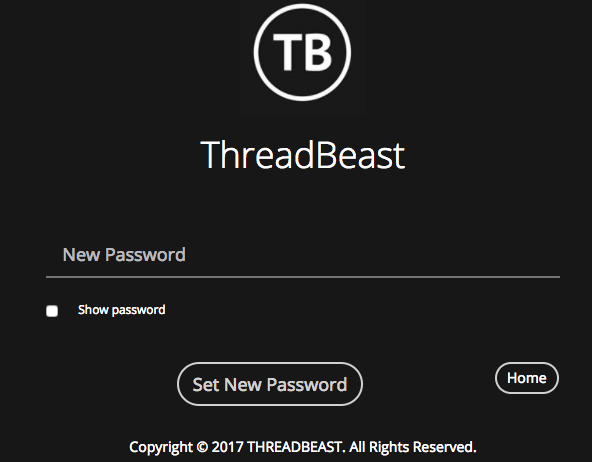 How do I create a ThreadBeast login to update my account information? Once you've entered your email, click "New Member Setup Password". You'll receive confirmation that a new member email has been sent to your email address. 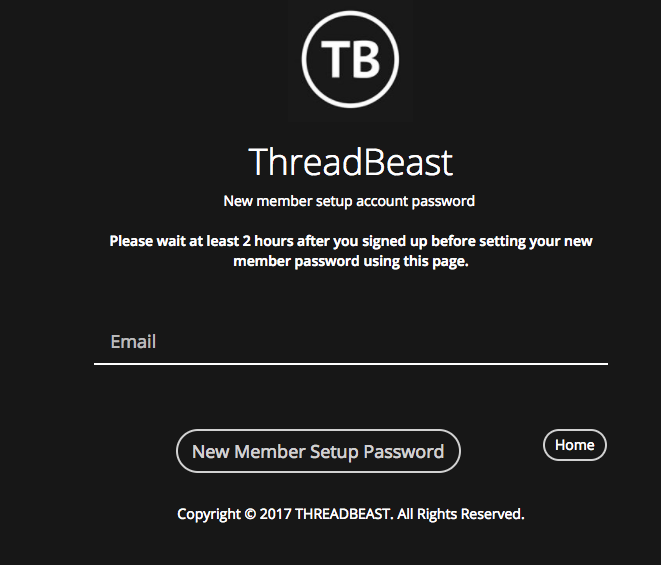 Please click on the link within the email you received and enter your desired password for your ThreadBeast account. Once you create your new password and click "Set New Password" you'll be all set. 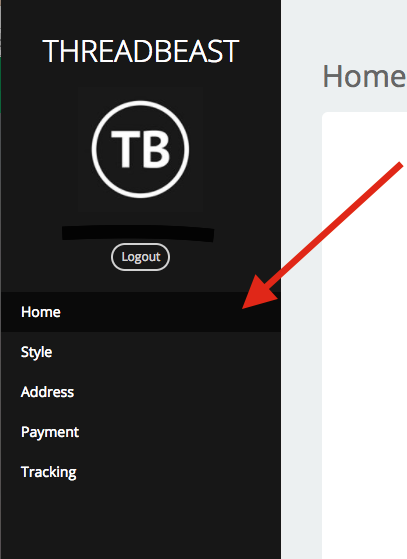 It will automatically take you to your account page home screen. Here you can view and update your style profile, address information, payment information and even see tracking information to track your package while it's in transit. Please note: Any update to your style profile or address may not take place until after your next payment. 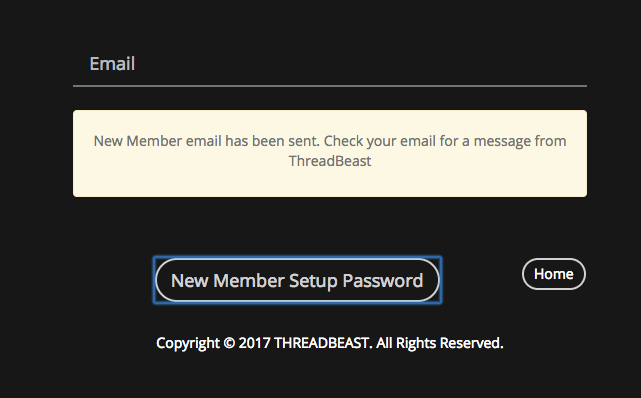 For immediate assistance on address updates or style profile updates, please email assistant@threadbeast.com.